A powerful and innovative verbatim theatre piece. Palestinians and Israelis have one indisputable thing in common: they are all Semites. noun a member of any of the peoples who speak or spoke a Semitic language, including in particular the Jews and Arabs. Palestinians and Israelis have one indisputable thing in common: they are all Semites. Featuring recently gathered testimonies from Palestinians and Israelis, Semites explores the challenges of living an ordinary life under extraordinary circumstances, of having dialogue with the other, of loss and hope, of staying alive. In a world of echo chambers, fake news and fear, we invite you to leave your preconceptions at the door, and open your eyes, ears and heart. 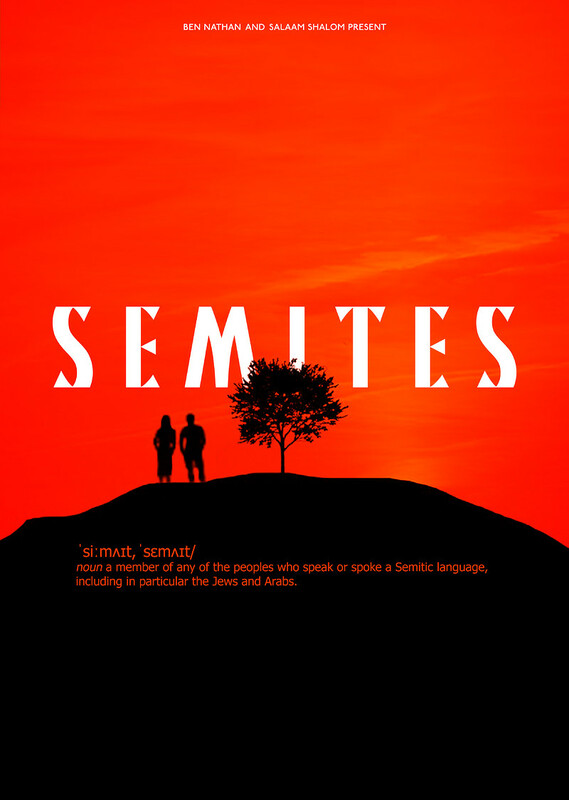 Semites is the culmination of three years of research and interviews on location in Israel and Palestine, with students, farmers, yoga practitioners, lawyers, engineers, journalists, peace activists, settlers and combatants. Directed by Daniel Goldman (Thebes Land (Off West End Award Best Production 2016), You’re not like the Other Girls Chrissy (Stage Award for Best Solo 2010 & Olivier Award Nomination 2011).